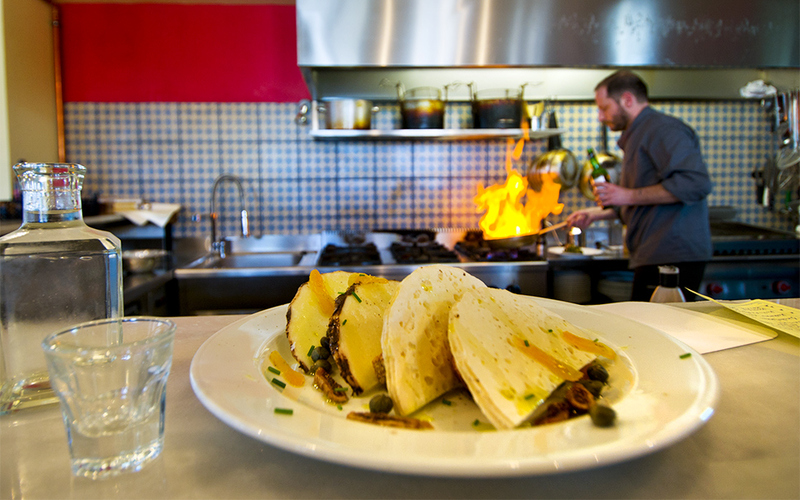 These eateries are prefered by locals and for good reason. A truly Athenian experience, Ama Lachei is set in a neoclassical building that was formerly a school and offers straightforward, tasty food with a friendly service. Try the couscous with chicken and follow it with an exceptional dessert. Grab a spot under the grape trellis in the garden. A quiet little sidewalk spot on both sides of an inclined pedestrian walkway that seems miles from bustling Kolonaki, this is where locals hang out for coffee and beer. Ideal for a visit before or after a movie at the nearby outdoor cinema. Perhaps the oldest taverna in Athens, this basement restaurant has barely changed since it opened; it’s a place for romantics and history buffs. It smells of smoke from the grill and of wine, too, poured straight from the large barrels. The menu is always the same – chickpea soup, boiled greens, and small fish. The atmosphere is unbeatable. 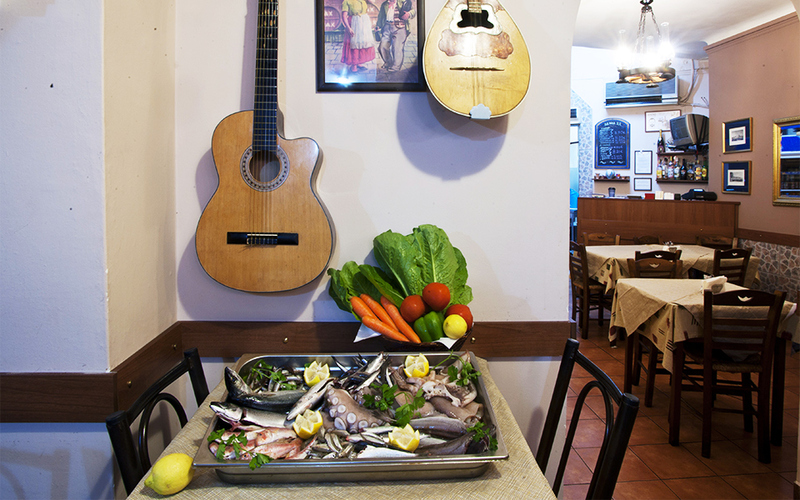 One of the oldest tavernas in Athens, Klimataria is listed in most tourist guides, and for good reason. With a small courtyard and old wine barrels for decoration, it’s an ideal place to enjoy classic Greek cuisine and even learn more about it in dedicated cooking lessons (in English, on request). 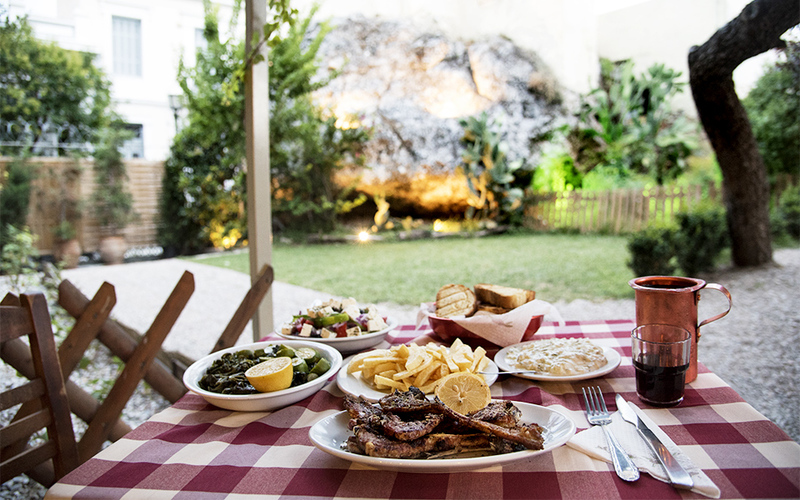 Try the moussaka, soutzoukakia (spicy meatballs in tomato sauce), stuffed vegetables, pies and grilled meats. 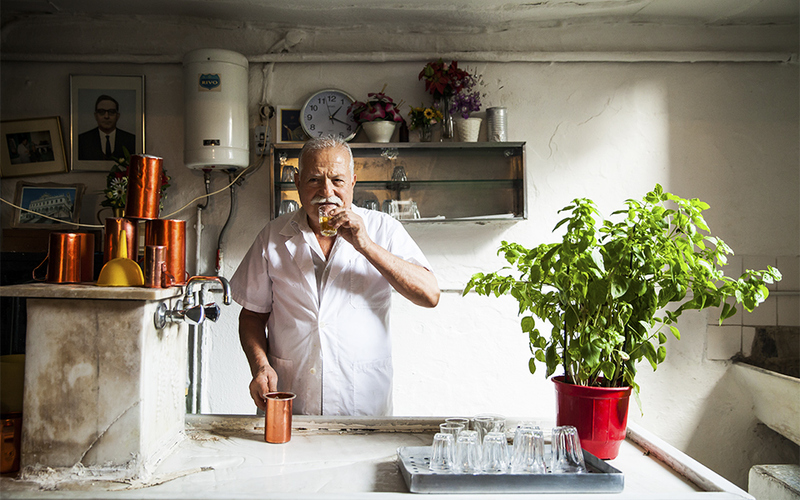 This is a reason in itself to visit Kerameikos neighborhood. 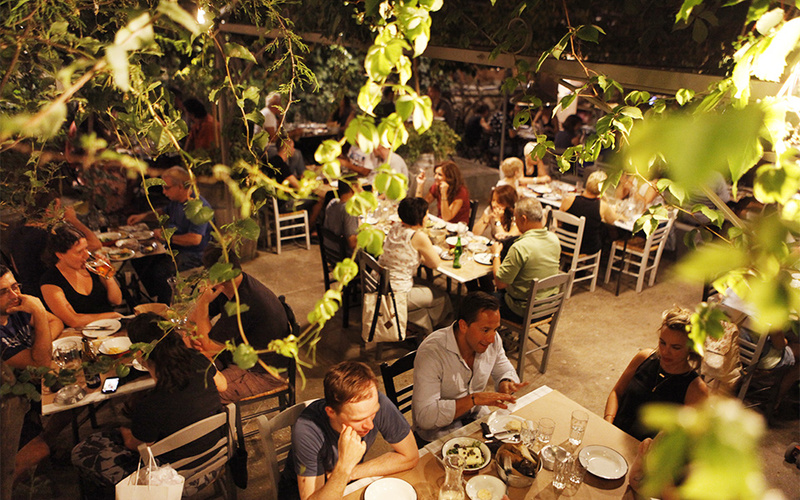 You’ll find traditional and rustic Greek dishes cooked with ingredients from small producers. Try the liver, pappardelle and beef tongue and be sure to order a plate of cheese. Don’t expect to walk away feeling light. You’ll feel like you’re not in Athens in this cool and quiet garden restaurant, from where you can hear the metro trains pass nearby. On Sundays it’s a popular spot for families and big groups, who come for grilled meats, especially the lamb ribs. This wonderfully simple eatery has just a handful of tables in an arcade full of old goldsmith workshops. 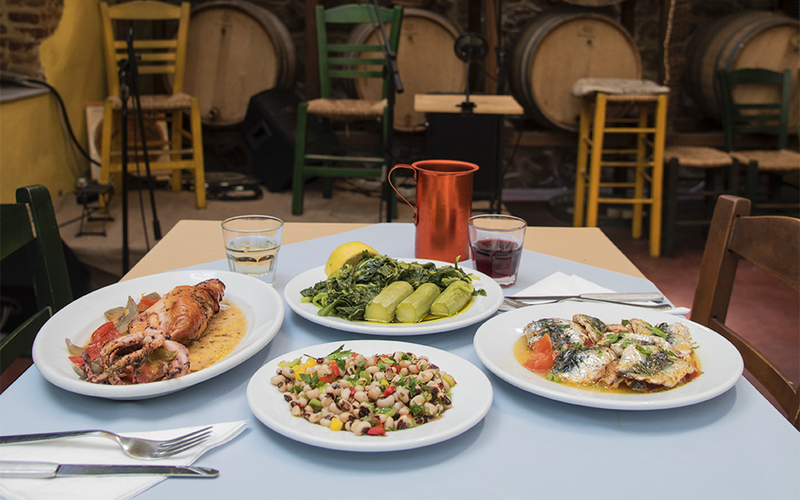 You’ll find the ideal companions for ouzo– small grilled fish, sardines stuffed with herbs, fava with onion and saganaki fried cheese.